Track your team’s hours as they travel from property to property with Hubstaff’s automated time tracking solution. More accurate timesheets with minimal effort required. 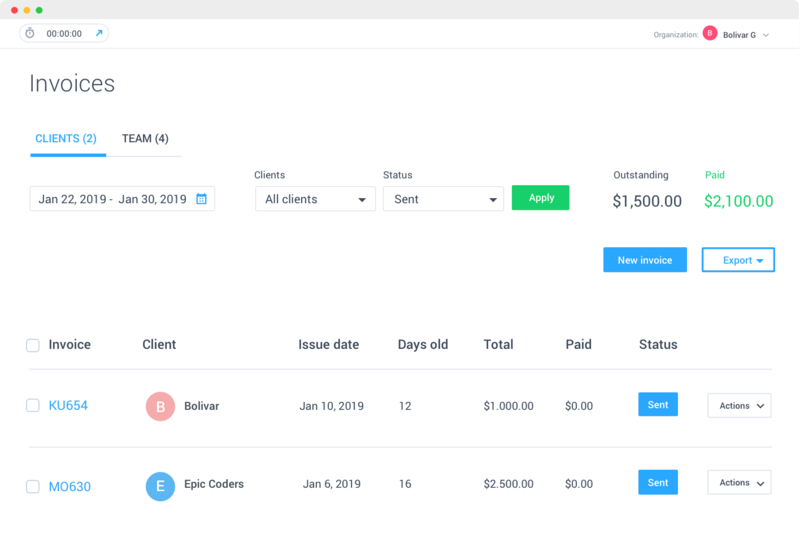 With over 30 integrations, pay your real estate teams accurately and directly through Hubstaff. 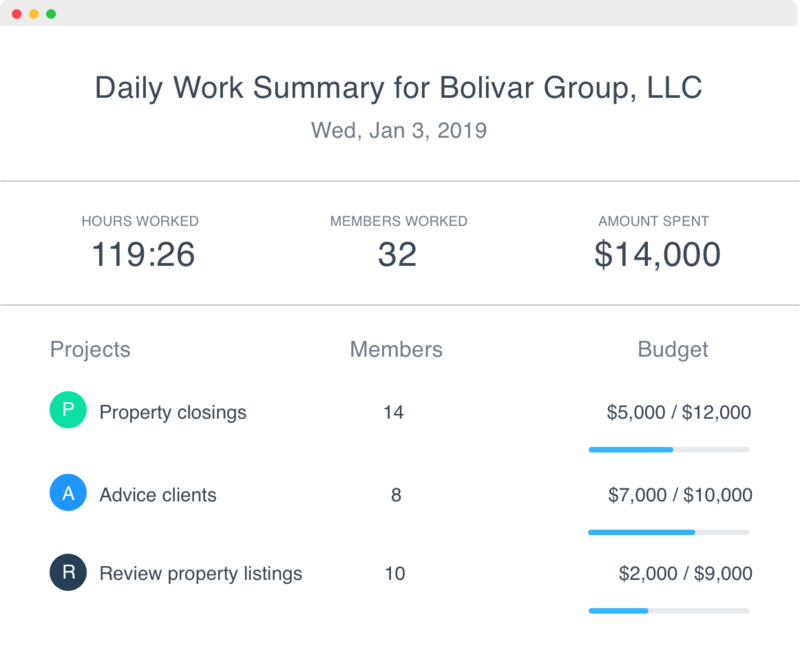 Set budgets for each property, get automatic alerts as your team approaches limits you set, and add notes for time worked. Built-in productivity and project tracking means fewer opportunities to drop the ball. 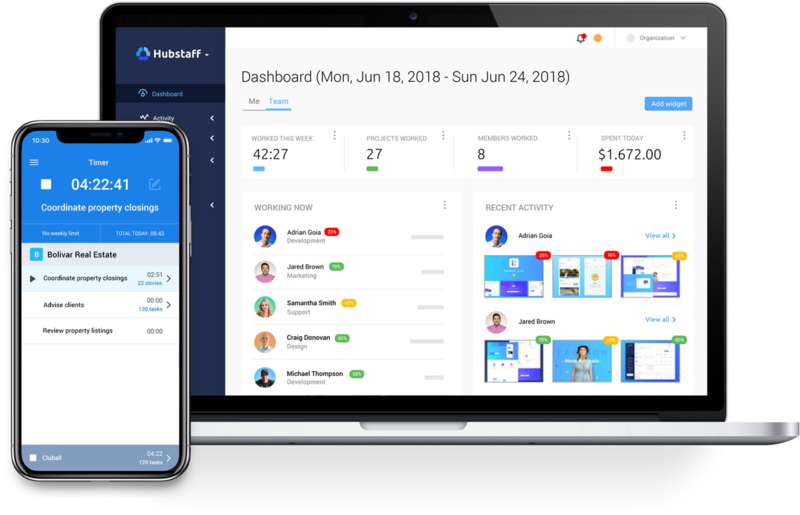 Assign, track and budget with Hubstaff. 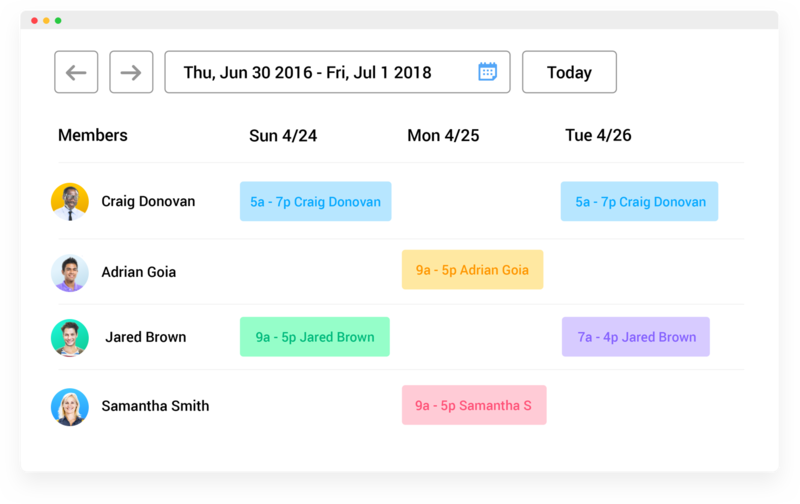 Manage employee schedules with an easy-to-use calendar within the Hubstaff dashboard. Schedule appointments and get alerts when shifts are started late, missed, or left early. One less task to manage. It drives productivity among my team! 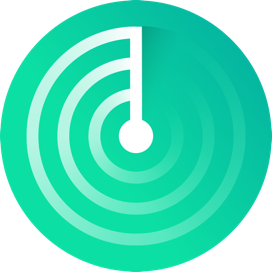 It also sends reports each time for each user and also for each project daily. Track time. Send invoices. Pay teams. Done. Available as an app for iOS and Android devices. Send client invoices based on time tracked and bill rates. Track time, project costs and budgets in one place. Manage your team's shifts and schedule work hours. Book a free demo today and get personalized support as you set up Hubstaff for your crew. We'll help you every step of the way. Close faster and maximize your schedule. See how Hubstaff can help.